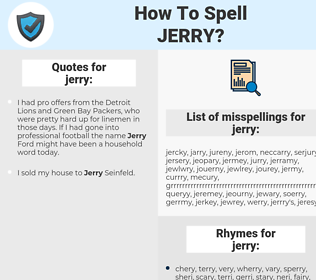 What are the misspellings for jerry? What are the common mistypes for jerry? What are the quotes for jerry? What are the rhymes for jerry? What are the translations for jerry? 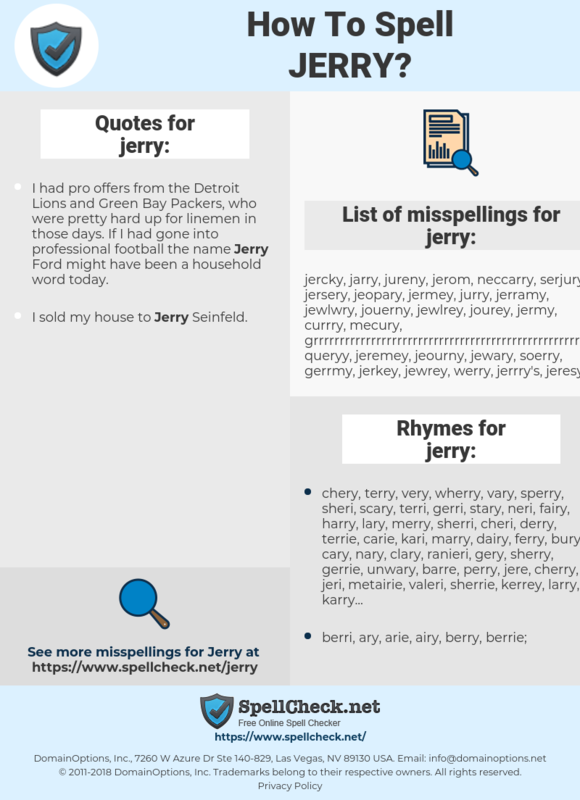 What are the common typos for jerry? Jerry as a girl's name (also used as boy's name Jerry), is a variant of Geraldine (Old German, French), Jeremia (Hebrew) and Jerrie (Old German, French), and the meaning of Jerry is "spear ruler; the Lord is exalted". See also Jeralyn and Jeri. This graph shows how "jerry" have occurred between 1800 and 2008 in a corpus of English books.